In a letter released on the afternoon of Tuesday, Nov. 29, Superintendent, Scott P. McCartney, announced that, of the 271 samples taken, all but 16 tested below the lead action level. Five out of the six Moorestown public schools tested positive for lead in water supplies. In a letter released on the afternoon of Tuesday, Nov. 29, Superintendent Scott P. McCartney announced that, of the 271 samples taken, all but 16 tested below the lead action level. This lead action level was established by the state Department of Environmental Protection for lead in drinking water (15ug/l [ppb]). Lead above this level was found at sample locations within the high school, Upper Elementary School, Mary E. Roberts Elementary School, George C. Baker Elementary School and South Valley Elementary School — but not within William Allen Middle School. The state regulations required extensive testing be performed on all water sources, including utility sinks, water fountains and faucets throughout all buildings. McCartney also explained many of the failed locations are associated with old fixtures and/or non-potable use locations. Many of these lead sample failure locations have already been remedied, with the remaining expected to be completed before the year’s end. 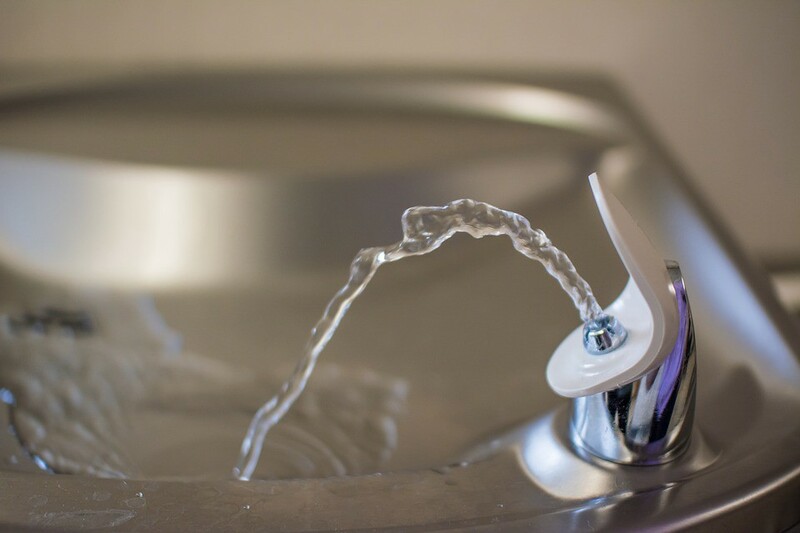 As interim remedial actions, many of the contaminated water fountains were taken out of service or posted with a sign that reads, “do not drink, safe for handwashing only.” Longer-term remedies will include water flushing, fixtures and/or valve replacements, pipe removal and/or simple cleaning. The NJDEP has offered technical guidance to Moorestown Township Public Schools (MTPS) in developing a plumbing profile for each building. These profiles helped identify and test all drinking water and food preparation outlets separately. Mandatory regulations regarding lead contamination in school drinking water were set in place by the state Board of Education in July. As ordered by Gov. Christie, the testing of faucets and fountains within the state’s schools were to abide by new rules and precise measures. In addition to the general municipal water testing to be done monthly and related to incoming water that the school uses for drinking and cooking. Although the first lead sample testing was to be done within one year of the date the regulations passed, sequential testings are only required to be completed at least once every six years. On the final page of McCartney’s memorandum, which can be found on the MTPS website, it explains that, while high levels of lead in drinking water can cause health problems, it is rarely the sole cause of lead poisoning. Yet, the Environmental Protection Agency estimates that drinking water can make up 20 percent of a person’s total exposure to lead. For more information on lead exposure, visit www.epa.gov/lead.